Three's a crowd, four's a party! 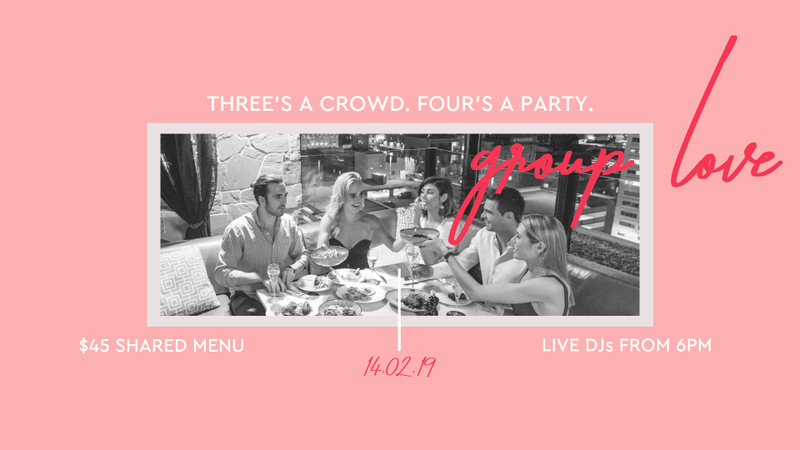 Gather the group and share the love this Valentine's Day. Indulge a sumptuous shared menu with magnums of rosé, live DJs and spectacular views. Watch the sun set over Brisbane’s CBD with group of friends and enjoy dinner in one of our booths featuring 270 degree views of Fortitude Valley and the surrounding suburbs. Click the button below to view the menus, or enquire now about the availability of our booths. To make a reservation this Valentine's Day, please complete the form below.